It’s that season again – and I don’t mean hurricanes. 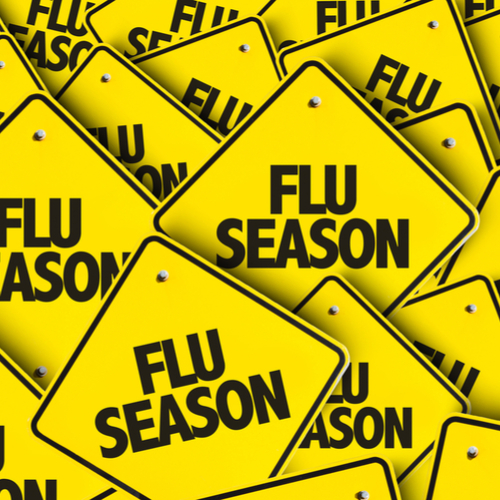 Flu season is generally from October through May; peaking in December. Given that the flu is easily spread by coughing, sneezing and close contact – and what gets closer than dorm life and classrooms – your student may want to consider getting vaccinated. UCF makes it incredibly easy and free too. The UCF health center is open 8:30 a.m. to 6 p.m. weekdays and 10 a.m. to 2 p.m. Saturdays. Students can walk in for a flu shot or make an appointment by contacting the center at 407-823-2701 or StudentHealth.ucf.edu. Bring a valid student ID. They can also check out the dates, times and various locations around campus that UCF has a Mobile Flu-Clinic. The vaccines given on campus do not contain any live influenza virus and take about 2 weeks for protection to develop. The UCF Health Center also has different vitamins and minerals for students. Walgreens – there is quite a few near campus. Walgreens website will help find the one closest and many are open 24 hours. There is no cost with most insurance. Appointments are not needed, but we recommend calling beforehand to find out what the wait time is. CentraCare – Located at 11550 University Blvd, they take appointments for flu shots. Of course, there was the year that a bunch of my daughter’s sorority sisters got the flu and she and her roommate panicked and rushed right out late at night to get vaccinated. There is little worse than being hours away from your student and not being able to take care of them. Here is our blog on being Sick at School. Wishing all our Knights a healthy semester.